Located 3.8 km from Battersea in London, this holiday home features a barbecue. Guests benefit from balcony. Free WiFi is offered throughout the property. There is a dining area and a kitchen complete with a dishwasher, an oven and microwave. 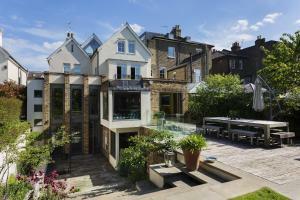 See all Five Bedroom House in Wandsworth reviews..